Michael Carr isn’t your average digital marketing specialist. While he works on the digital team for a tourism board during the week, he spends most of his weekends — and nearly all of his free time — outdoors in St. George, Utah. Located in one of the prettiest areas of the country, you can’t really blame him. With his camera always in hand, Carr likes the adventure side of travel and is always eager to find something new and exciting to explore. The resulting photographs are spellbinding, making you feel like you’re right there with him on the trail. We recently caught up with him to learn more about his favorite places in St. George and to learn a few of his go-to photography tips and tricks. Hi Mike! Thanks so much for setting aside some time for us. Tell us a little bit about yourself and how you got into travel photography. 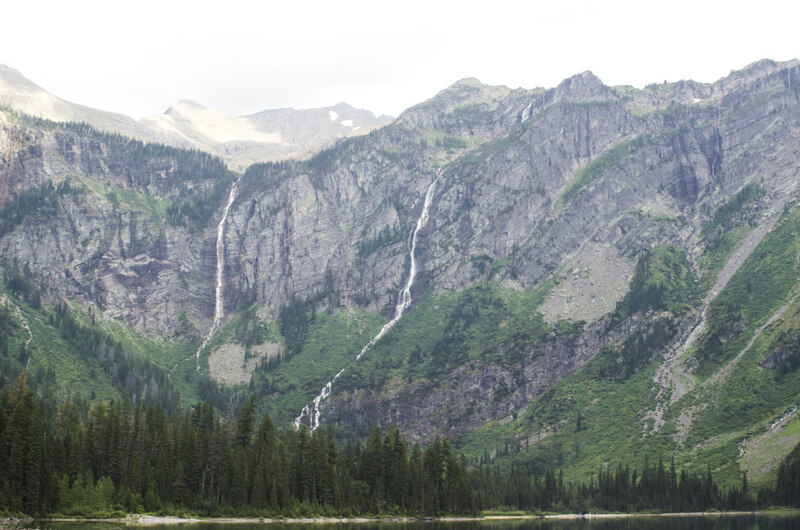 I grew up just outside of Glacier National Park with a wildlife photographer for a father. He shared and instilled in me a love for nature and photography. We would drive all over the place just to find a new fishing hole. We’ve even driven all the way from Montana to Alaska just to take pictures and catch some halibut. The more I traveled around taking pictures, the stronger my love for it grew until I knew this is all I ever wanted to do. So, you grew up in Montana but now live and work in St. George, Utah. How did you end up in Utah? I was working my tail off at a digital marketing agency and hated the rat race. I never thought of myself as a very good rat. I started looking for jobs that would get me into the outdoors and hopefully let me put my creative marketing skills to use promoting outdoor recreation. My wife actually found a job opening working for the tourism office down here in St. George, and so I applied. It’s been an amazing experience that has taught me a lot about travel and allowed me to really develop some new talents, like my photography. 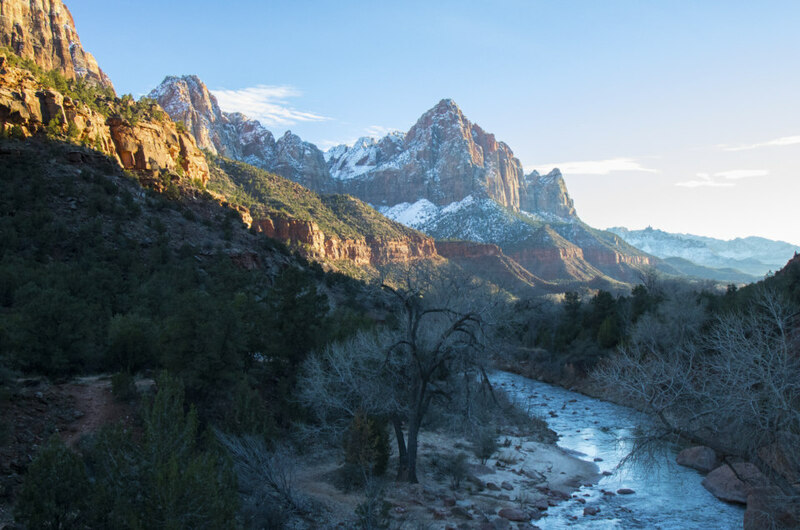 You’re a huge outdoorsman, frequently sharing photos from your adventures in and around Utah. What’s your favorite season to explore the area? That question is really tough because it depends on the activity. My number one activity is hiking, and it can be done all year, but I love it most in early spring when the wildflowers all start blooming. For rock climbing, there is no better time than winter. It’s perfect conditions. For road biking, I love spring and fall for their moderate temperatures. Spring is pretty much the perfect time here because you can do everything! What is it about St. George that makes it such a special area for outdoor enthusiasts? Oh, where to begin? The landscape is really what makes this place so special. The red rock makes St. George stand out. 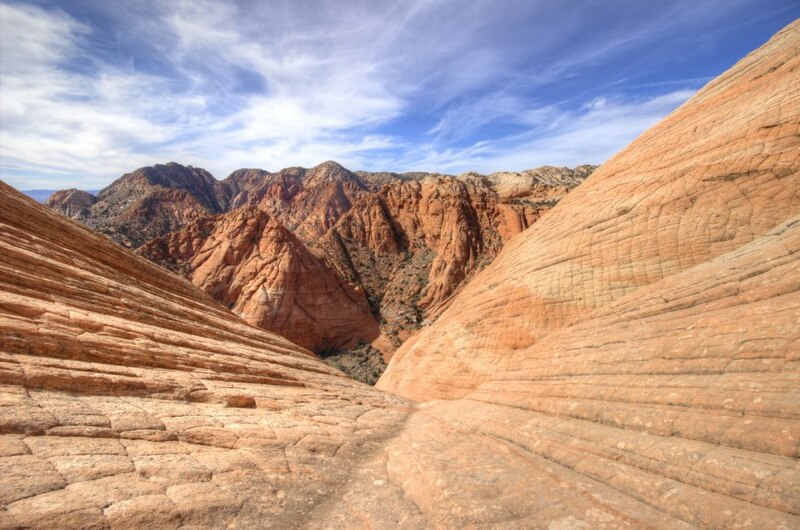 The whole area is one big playground covered in slot canyons, sand dunes, cinder cones, major canyons like Zion, and medium-sized ones like Snow Canyon State Park. We have world-class mountain biking, rock climbing, and hiking. The special activity of southern Utah is canyoneering. What are your top five most Instagrammable places in St. George? If I was to put together a shot list for you, it would be Yant Flat for the sandstone cliffs, Babylon Arch for the unique terrain, the Narrows for their giant walls and slashing water, Snow Canyon State Park for its raw beauty and expansive vistas, and Red Cliff Recreation Area because it has everything—water, petroglyphs, dinosaur tracks, Native American ruins, and slot canyons. What are your best tips for any landscape photographers, especially if they’re in Utah? People should be trying new things and expanding what they are comfortable with. That’s how growth happens. For me, the desert is all about the stark contrast of its harsh dry landscape and water interacting with it. Just after it’s rained, the colors really pop, especially the red rock. Also, while the rain is falling there are some amazing temporary waterfalls to see. Our most recent InstaMeet featured St. George, where we hiked the Narrows in wintertime. Why do you think the Narrows is such a bucket list hike? I think there are two contributing factors: it’s unique and extremely beautiful. You would be hard-pressed to find another hike like the Narrows. It’s also a lot of fun to explore. You get to have a hike and a water park all in one experience! The Narrows is a little bit trickier to capture. What have you learned about capturing the Narrows over the years? If you are interested in that amazing shot of the Narrows without people in there with you, you really only have two options these days: get to the trailhead well before the first shuttle runs in the summer or rent the proper gear and do it in the winter. The winter option is a lot easier and offers more than just people-free photos. It also has a totally unique feel to it with ice covered walls, frozen waterfalls, and different light angles since the sun doesn’t rise as high in winter. What would you consider some must sees for first-time visitors to St. George? You definitely have to go to Zion, but don’t get blinded to the rest of the area by it. Make sure you experience Snow Canyon as well. I always take family and friends there when they visit. Stop by Judd’s General Store for some ice cream; it’s been there since 1911 and you can’t beat charm like that. Depending on the time of year, I would also strongly recommend you go cliff jumping at Sand Hollow State Park or at least rent a paddle board and enjoy the warm weather we get here. I’m so glad you asked—Kauai! I’m so excited to finally make it out to Hawaii. My passion for waterfalls is about to get an overload of awesomeness. There is so much this island in particular has to offer in outdoor adventure and landscape photography. I’ll be spending a whole week there maxing out my memory cards. For more on Carr’s adventures and to check out his amazing photos, visit his website at mikecarrgallery.com or follow him on Instagram!